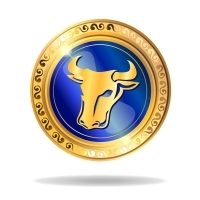 January – This month could be a bit tricky for those born under the sign of the Bull. You may feel rebellious and stubborn in the workplace. This attitude won’t get you very far and you are likely to encounter a difficult senior who is hell-bent on making life uncomfortable for you. Try to ride through the storm. The person in question will get bored if you don’t show any extreme reaction. February – This is a good month where you will receive some very positive news in connection with your career. It could be the break you have been waiting for. An older person is likely to offer you some very sound advice which you would be silly not to take. Try not to push any boundaries at work. Even if you want to establish your independence, quiet conformity will serve you best. March – This is a lovely month when you will be lucky. It’s an excellent time to chill out with friends, relax and take time away from routines. If you feel like taking a weekend break, do it. The change of scenery will do wonders for you. You may feel drawn to the countryside. Lots of long brisk walks in the cool fresh air will make you feel on-top-of-the-world. A friend you thought you’d lost will want to connect with you again. You couldn’t be happier. April – My Taurus Horoscope chart analysis reveals that this is an important time for you when changes will take place whether you are ready for them or not. You may have to process some new information. Try not to get too stuck in the past and be open to the new opportunities that you are destined to come your way. Be ready for new things and embrace your future path. The only one holding you back is you. May – This could be an interesting month for you when lots of little things, as well as people around you, start to annoy you. You probably need to break out of your current situation and the signs are already there that you should. Do not be a captive to what has past. Take notice of any new directions being offered to you and don’t be afraid to consult others or ask for help and guidance from people you know are trustworthy. June – This month will be wonderful, both on a career level and on a personal level. You could easily meet a highly compatible person who will draw you out of yourself and show you how to have fun. You will be smitten pretty quickly. My message is to enjoy new experiences, visits to new places and meeting new people who could become very important to you if you just let them in. July – You may be preoccupied with your self-image, wanting to change your appearance in some way. This is a good time to try out a new hair-style, buy some new clothes and/or change your image in some way. Someone in work might offer you an incentive to work harder. Take it! There are no strings attached to this. It is a genuine offer. August – This could be a tense month with family making demands on your time and people in work being particularly unhelpful. You may feel you are getting nowhere and that no one is listening to your point of view. Don’t be too impulsive and lose your temper. If you wait and stand your ground, others will see the error of their ways. They might even ask you for help and guidance. September – Things will go smoothly for you this month. You will find it hard not to find humour in most situations. Others will soon catch on to your sunny disposition and your laughter will be infectious. The brightness surrounding you will be catching and you will be popular, both at home and at work. October – Taurus horoscope study shows that this period is another good one in the Taurus calendar. You will certainly get to know who your true friends are when a minor dispute causes some friction at work. There could be some minor domestic issues to deal with as well, but nothing that can’t be easily sorted out to everyone’s satisfaction. If you follow your gut instincts all will be well. November – There could be some tension this month and you might be wise to get away for a bit. If you haven’t managed a proper holiday this year, now could be an excellent time to organise one. You should find the air will have clearer when you return and if there has been any gossip, there will be no more wagging tongues. Try not to blame your partner for everything that goes wrong. December – You may need to try diplomacy as a course of action this month. Even though you may hear some upsetting news if you don’t want people to fly off the handle, don’t say anything. Their problems are not your fault and you can’t be held responsible. Towards the end of the month, there will be a lighter feeling in the air and the tension will have lifted. There may be some time to actually enjoy the celebrations. Go to the party. You will have a good time Taurus.